JOSHUA RUSH: Exclusive Interview with Andy Mack’s Cyrus (Disney’s First LGBTQ Character)! JOSHUA RUSH! Exclusive Interview with Andy Mack’s Cyrus (Disney’s First LGBTQ Character)! It’s our ToTaLLy 100% Joshua Rush Exclusive interview…and YES, Piper asked about Cyrus being Disney Channel’s first LGBTQ character on Andi Mack. But, that’s not why we’re keeping this interview long. The reason for the length is Joshua himself! He’s funny, super-smart, sincere, sweet and AwEsOmE to talk to! 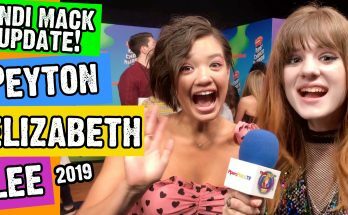 You really need to stick around for this one, especially if you’re an Andi Mack fan! 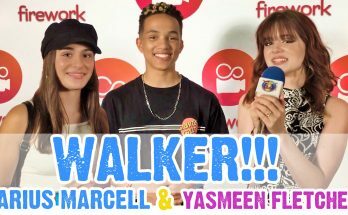 We’re getting into behind the Andi Mack scenes stuff, Josh’s real life interests and goals stuff, and even Asher Angel’s weird Chipotle order stuff! BTW, We’re focusing on Andi Mack here, but Joshua has also done a bunch of voice work! He’s Bunga from Disney’s The Lion Guard, Breehn from Clarence, Jeremy Birnbaum from Star Vs. the Forces of Evil, and Toby from The Adventures of Puss in Boots! Last year we predicted that Andi Mack would be the number one show on kids TV before the show even launched. This year, we predicted that Joshua Rush’s character, Cyrus, was going to be Disney Channel’s first gay character months before it was announced. 2 for 2! Yup, breaking wind….errr….news since 2007. Speaking of 2007…Piper’s Picks turns 10 years old in December! HoLy PiPeRoNi! As the first and longest running online entertainment news show (for any demographic), we are looking toward the future and to expanding beyond Piper’s Picks. It’s always been about making kids smile through staying high energy and focusing on fun and positive stuff. Thank you soooo much to everyone who watches and interacts with us! We know many of you have been watching since 2007! Some of you started watching in elementary or middle school and are college graduates or even have your own kids. It’s MeGa-surreal, very PiPeRDeLiC and hard to even grasp. Thank you! If you haven’t seen, check out our full article on Andi Mack too!